The festival of lights that represents the triumph of good over evil is the celebration of prayers, devotions, ceremonies and families. 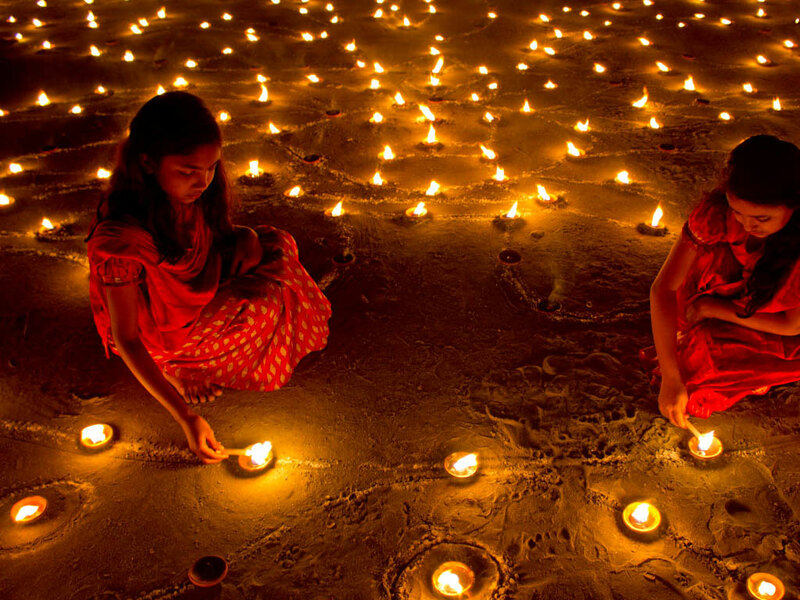 Diwali, celebrated throughout the India every autumn is the traditional gala that is celebrated for five days. On this occasion, the houses and almost all the buildings are decorated with candles, lights and traditional earthen lamps called “diyas”; the nights of earth witness more sparkling and astonishing than the sky full of the stars. The huge fireworks displays are held while friends and families feast and share gifts.